In CW’s Jan./Feb. issue, we began a year focused on prayer. Our prayer calendar for the months of May and June can be found on pages 28-29 of the May/June issue, or it is available to download here. Each day has a scripture to direct our thoughts. In May we will be focusing on prayers for our missionaries, asking God to give them strength and encouragement as they build up His body. In June, we will pray for our homes and families – that we will teach the children in our lives to love God and that as Christian spouses and parents we will be of noble character. 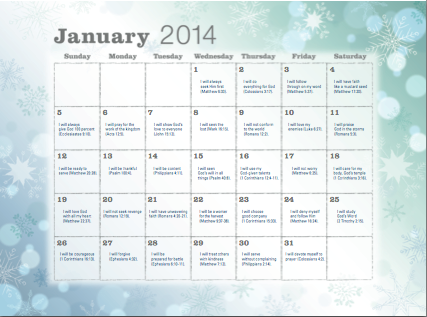 Click here for the first part of our calendar, from the Jan./Feb. issue. 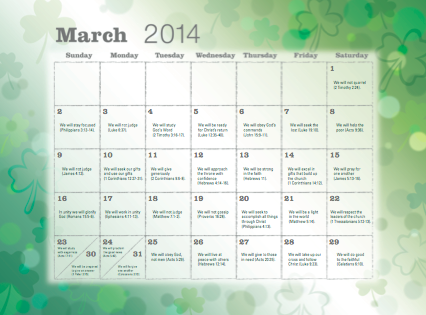 Click here for the first part of our calendar, from the Mar./Apr. issue. Is Gospel Advocate Bible Study Curriculum Right for You? Did you realize that Gospel Advocate’s adult curriculum, including the teen study, follows the same topics? Whether you are using Companion (our annual lesson commentary) or Foundations (our adult quarterly) or Horizons (our teen quarterly) the lesson texts are the same. Beginning this fall, the themes for 2014-15 will focus on a study of fundamental truths. Using the overall title of “God’s Plan for Us,” each quarter will cover a series of in-depth lessons on basic principles of the Christian faith. 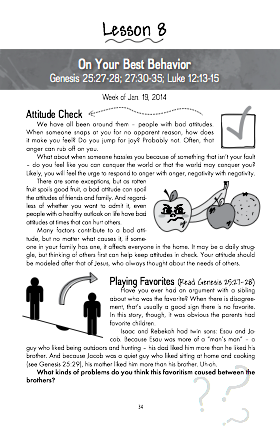 The topics for each quarter continue the emphasis on personal commitment to the Lord. The fall theme is “This We Believe”; winter, “This We Teach”; spring, “This We Do”; and summer, “This We Recognize.” Appropriate biblical texts will be selected for each lesson. These lessons are new each year for Companion and each quarter for Foundations and Horizons. Some churches have been using these studies for youth and adult Bible classes for many years and have been strengthened by their studies. Why not consider, starting with the summer quarter, trying our curriculum for the class you attend and/or teach? Bible class with handmade flipcharts. 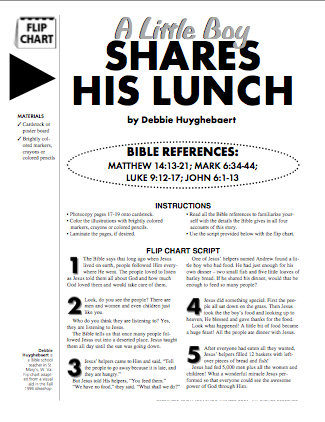 Looking for a way to add a little visual to your Bible class? Flipcharts are easy to construct and make it much easier for young children to understand the lesson. See the step-by-step method on page 42 of the March/April CW or click here for a downloadable sample with easy instructions. In CW’s Jan./Feb. issue, we began a year focused on prayer. 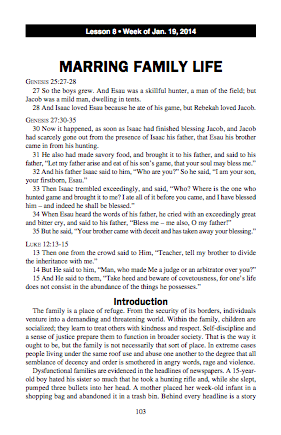 Our prayer calendar for the months of March and April can be found on pages 28-29 of the M/A issue, or it is available to download here. Each day has a scripture to direct our thoughts. In March we will be focusing on prayers for the church, asking God to help us obey His commands and use our gifts to build up His body. In April, we will focus on prayers for our government and leaders, asking God to give us leaders who will be guided by His truth and who will be guided by compassion. Looking for an inexpensive, fun valentine’s gift for someone special? 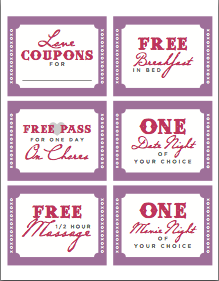 Try these free coupons, downloadable HERE. They’re an easy, inexpensive way to show your loved ones how much they mean to you. They make a great supplement to a book or magazine subscription, or use them on their own and customize as needed. What if we took Philippians 4:6 to heart and truly became a nation of prayer warriors, devoting 2014 to a daily time of focused prayer? Using a particular theme for each month, what if each of us spends some time every day in prayer that is centered on God’s Word? Imagine what we could accomplish through God and for God! 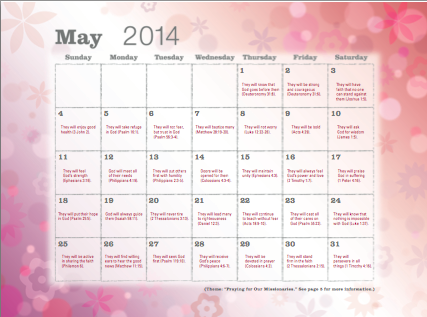 To that end, Christian Woman magazine has committed to providing a prayer calendar in each issue this year, with a thought or scripture to use of something specific to pray for each day of the month. You might want to write each day’s verse on a notecard to carry with you so that, throughout the day, the verse itself can serve as a prayer. It is available here for download and will be available in each issue. In January let us focus on the New Year and on making sure our own lives are where they need to be with God. Let’s ask God to use us for His work and pray that our eyes and ears will be open to the opportunities He places in our lives each day. For February, let our focus be on love. Spend time praying that we can love one another, love our friends, love our neighbors, and love our enemies. Pray also that we can better demonstrate that love to those around us. It isn’t necessary to set aside a particular time and place for voicing your requests; regardless of where you are, you can share what is on your heart with God. Once a week, consider reviewing all of the things that you have prayed for, and reflect on how He is already answering your prayers and giving you opportunities to serve Him. 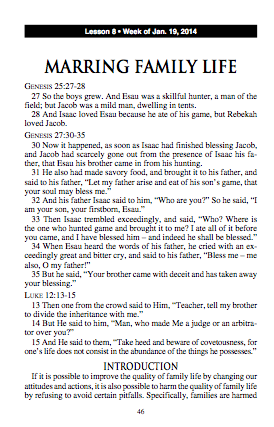 God wants us – all of us! Let’s give Him every aspect of our lives and watch as He works through us. 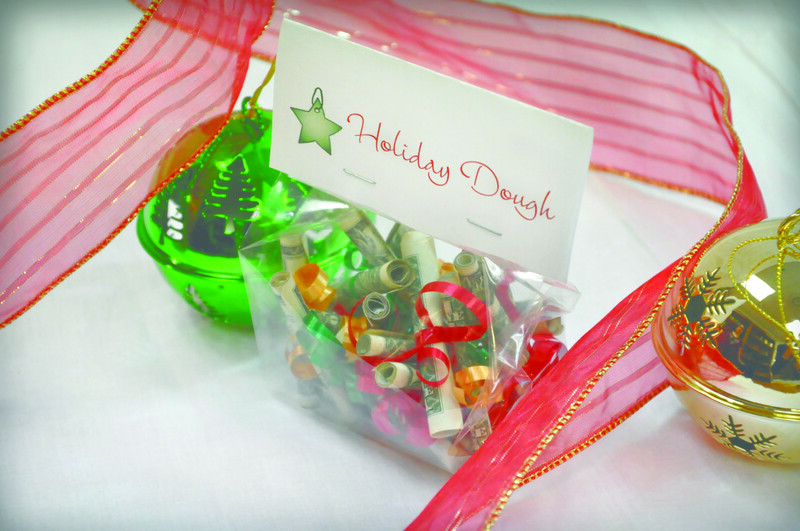 Looking for a different way to give cash as a gift this holiday season? Tie up single dollar bills with ribbon and place them in a clear plastic bag. 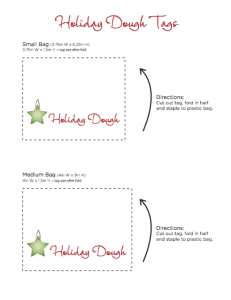 Download our easy printable label (available in 2 sizes) and staple it to the top of the bag. 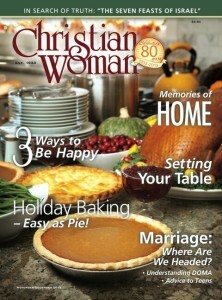 Look for this and more fun holiday ideas in the November/December issue of Christian Woman . Call 1-800-251-8446 to subscribe today.